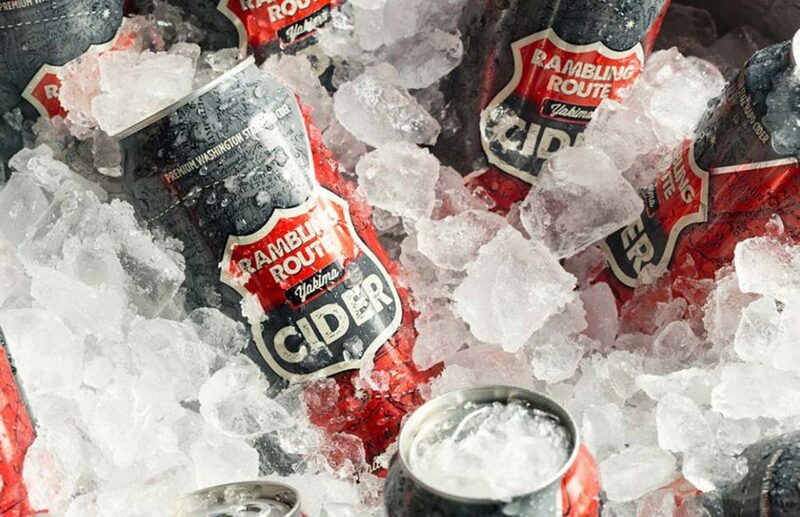 Cider in America has a long history dating back to the early 1700s in New England. Our founding fathers were more likely to get soused on apple juice than oat soda, in point of fact. 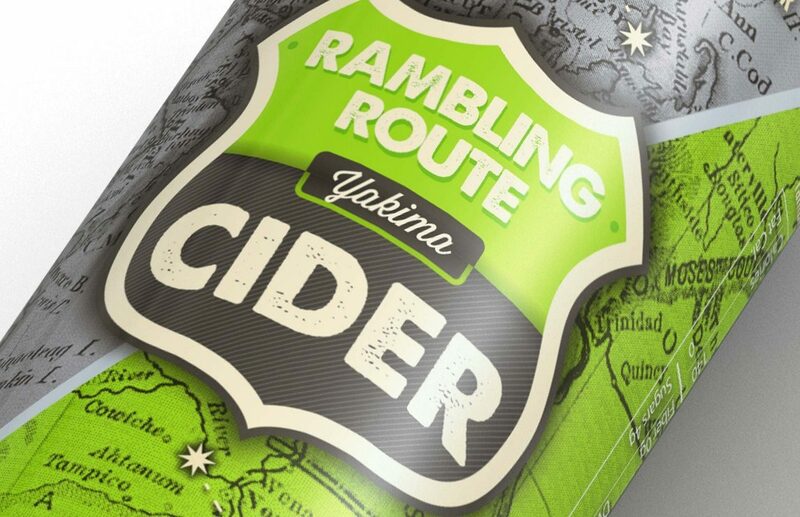 Our concept for Rambling Route’s package design tells that story of the cider apple’s great westward migration, where it finally landed in one of the greatest places on earth to grow apples—the Yakima Valley. The design visually reflects this east to west narrative through a split color treatment that traces its journey, and borrows from an old interstate highway sign for its logo badge. The bold color palette and strong graphic appeal give it shelf presence and the tagline—pride of the (509)—celebrates its unique sense of place. 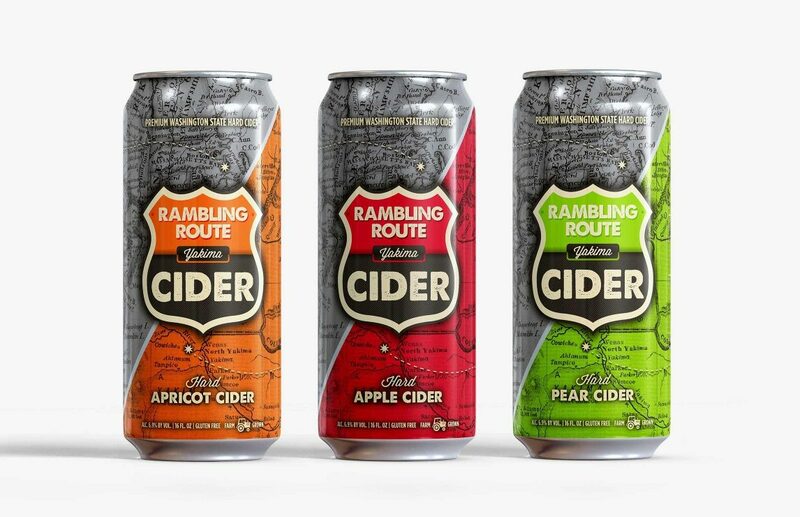 This new cider launched into distribution in April 2015 and immediately sold out. Cheers to that.